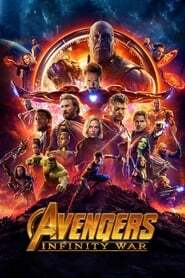 Storyline:- The Avengers and their allies must be willing to sacrifice all in an attempt to defeat the powerful Thanos before his blitz of devastation and ruin puts an end to the universe. Storyline:- A cop with a connection to the criminal underworld scours a nightclub in search of his kidnapped son. Storyline:- A young girl is institutionalized by her abusive stepfather, retreating to an alternative reality as a coping strategy, envisioning a plan to help her escape. Storyline:- Two Canadian detectives, one from Ontario and the other from Quebec, must work together when a murdered victim is found on the Ontario Quebec border line. Storyline:- The adventures of the Lafayette Escadrille, young Americans who volunteered for the French military before the U.S. entered World War I, and became the country’s first fighter pilots. Storyline:- A vengeful fairy is driven to curse an infant princess, only to discover that the child may be the one person who can restore peace to their troubled land. Storyline:- A veteran assigned to extract Earth’s remaining resources begins to question what he knows about his mission and himself. Storyline:- After the Republic’s victory on Christophsis, Anakin and his new apprentice Ahsoka Tano must rescue the kidnapped son of Jabba the Hutt. Political intrigue complicates their mission. Storyline:- Benjamin Gates must follow a clue left in John Wilkes Booth’s diary to prove his ancestor’s innocence in the assassination of Abraham Lincoln.